Mint has done it again! Another gorgeous metallic polish. Remember Mint Polish Czarina? Well now they’ve created this gunmetal beauty – Let’s Jet. Whether it’s my recent obsession with all things gunmetal, like the knuckle ring I’ve been wearing non-stop for the last 2 weeks, or just my love for this Californian indie polish brand, Mint Let’s Just is at the top of my ‘must-have’ list for this month. 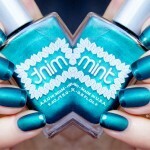 I guess by now most of you are perfectly familiar with Mint polishes and their exceptional quality. 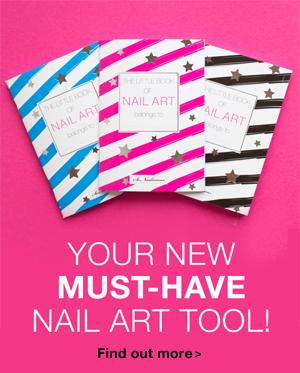 We’ve featured them a lot on SoNailicious (here, here and here) and hopefully you’ve added a few to your stash too. 5-Free – meaning the formula doesn’t include formaldehyde, DBP, toulene, camphor and formaldehyde resin. 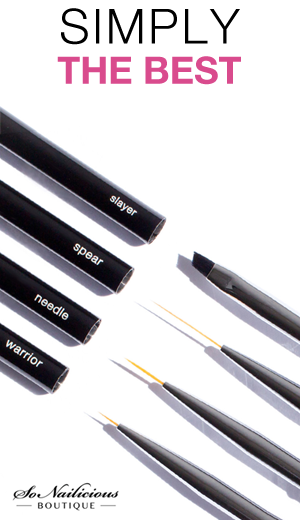 Easy to apply, fast to dry. Dries out perfectly even without any streaks. Expensive looking, unique gunmetal colour. Looks even more beautiful when mattified. Overall Impression: Perfect in every way, Mint Let’s Jet is your go to metallic gunmetal nail polish. A must have. Used: Mint Polish Let’s Jet and Essie Good To Go top coat. Have you tried Mint Polish before? What do you think about this gunmetal beauty?